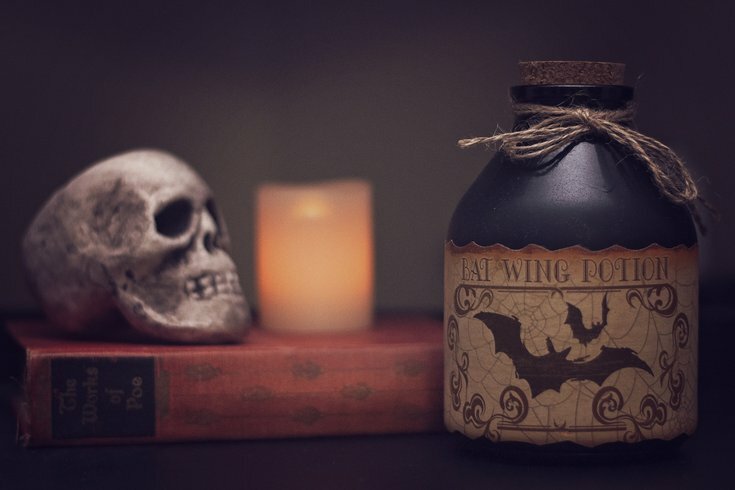 Drink spooky and magical concoctions at the Brews & Broomsticks Pub Crawl in Chestnut Hill. The evening before the new Witches & Wizards Festival in Chestnut Hill – formally the popular Harry Potter Festival – there will be a bar crawl through the neighborhood. The Brews & Broomsticks Bar Crawl will take place Friday, Oct. 19, from 7 p.m. to 10 p.m.
Tickets to attend are $25. Included in the price is exclusive access to drink specials ($4 beer, $5 wine and $6 cocktails), Witches & Wizards swag (including reusable bag, cup and T-shirt), one free activity ticket (good for fortune-telling, caricaturist or glow-in-the-dark face painting) and live DJ entertainment. While walking from bar to bar along Germantown Avenue in Chestnut Hill, attendees can check out performances by circus aerialists and fire-breathers, a recreational archery range and activities from The Franklin Institute's Science After Hours series. Below are the pub crawl participants. The Night Kitchen Bakery (7725 Germantown Ave.) will also offer a free Fireball shot with the purchase of a butterscotch "beer."